Is the best place to live very friendly and also all staff is very helpful all areas are very lovely and also they love dogs I'm very excite here and also is very close to all. We just moved here and absolutely loving it so far. We can’t wait for all the amenities to be completed so we can start using them! Excited for this summer. The place is fantastic. Amenities are great as well. I really enjoy the build in alexa with two speakers so I can listen in the living room or the kitchen. I love the space I have with this studio. It's perfect for two people. And the amenity such as swimming pool, rooftop, 24 hours gym just perfect for living here! My significant other and I moved in only 2 weeks ago and everything has been wonderful so far. The apartment was clean and ready to go when we got here on move in day. The staff here is wonderful and accommodating and the built in dog run is teuly a blessing. It’s nice to know when my girlfried has to walk the dog late at night, she never has to leave the safety of the complex. Having all new High Efficiency appliance is also a great feature. Everything run and functions beautifully and looks just as so. Couldn’t have been happier moving here. The community is great! I love the events and the amenities. The free fitness classes are awesome- wish there were more. There are a few issues with it still being built but the building is actively working to resolve them! Will be so awesome when the building is complete! So far so good! The management team is fantastic and responsive. My moving truck was delayed so they stayed a little after hours to make sure I had access to the service elevator and give me a brief orientation. They also helped me tremendously because there was a red bull game and cars were parked blocking the loading dock. So far we have enjoyed just about everything here. The gym perfectly suits our needs, front desk concierge has been great and the community activities are loads of fun. The only downside (which is to be expected with a new building) is the on going construction and occasional tripped fire alarm. Hi Miles, thank you so much for your positive comments about Cobalt Lofts! We're ecstatic that you are enjoying the amenity spaces so much and the events that host in them. We are sorry about the inconvenience the construction and fire alarms have caused, completion is right around the corner and as always we do try to notify you of any potential testing the moment we know. Let us know if we can be of further assistance and thanks again for the great review! I like the apartment especially because it is all new and in a very modern style. Also I like that there is a gym and an outdoor pool in the building. Moving into Cobalt Lofts was one of the best decisions I've ever made in my life. Amenities are top notch and more to come this summer. Brisk walk to the path train makes commuting to the city easy. Tons of restaurants in the area and you can see how much the town is gentrifying. Top notch staff as well. I love coming home everyday. Great place to live! 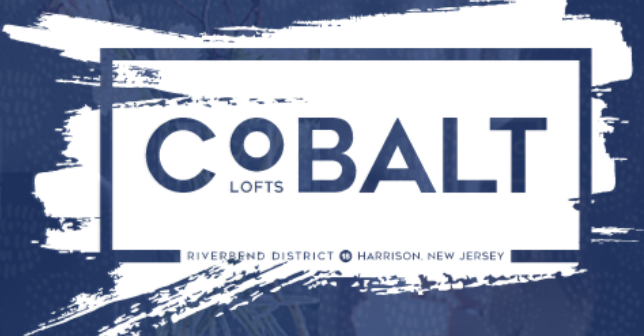 The CoBalt Loft community is located close to NYC, the Ironbound area of Newark, and a short walk to downtown Harrison. The amenities within the building are really wonderful. I just moved in but I’ve had such a great experience so far! The apartment was immaculate on move in and the staff has been so helpful and friendly in getting me settled in. My pup especially loves being able to run off leash in the dog run. The staff from the concierge to maintenance to management and leasing is the best. They replaced a broken oven in less than 10 minutes. Excited for more residents to experience the great service. We recently moved into Cobalt and it is nothing short of amazing. First, Basilio and the maintenance team are phenomenal. We had a few issues when moving in and they addressed the issues right away. Second, Dominick and Kenny have been absolutely wonderful. They really make sure your move in goes smoothly, assist you with anything you may need, and really want you to feel that you are apart of the community. Last of all, the concierge team has been extremely helpful with any concerns we may have during the day or night. Although all the amenities haven’t been finished yet, the gym is definitely my #1 favorite. The peloton bikes are AWESOME! Also, I love that the pet park is conveniently located for the pups. Cobalt is definitely a very pet friendly community. Can’t wait for Cobalt to finish the renovations and for this community to grow! Great apartment so far. Nice layout, spacious rooms. Love the fridge and closets. Washer and dryer can be better. Cabinet doors can be soft closing ones. Default curtain can be regular curtain with rods. Wall color can be white, then tenets can paint the color they love without pairing with the existing beige. I love the place, the management, the amenities, and the location, but I still consider it 10-15% overpriced. Heating runs on electric, and my first bill came 150% more expensive. I’m pretty concerned about the cost of living here! I’ve been at Cobalt for 2 months now and I could not be happier with my experiences so far! The apartments come with everything your looking for plus some extra cool stuff😉. If I need my thing done or anything fixed it’s just an e-mail away and someone takes care of any problems within no time and work around your schedual. I can’t wait till spring when the pool opens! Gonna be FUN summer all up in here at the Cobalt Lofts! Management is not good at communicating with residents about maintenance issues or responding to emails sent by residents. We have also had issues with most of our appliances. So far the leasing office has been incredible! We have had some back and forth with the lease and both Lis and Kimberly have been so helpful in resolving. Really enjoy my apartment, the facilities are and will be top notch. Staff has been extremely responsive and helpful. I am a big fan of the Peloton's ! Amenities are unfinished and unclear where things are. Not sure how to connect smart appliances to phone app or Alexa. Otherwise very nice building. Great service at front desk. Great neighborhood. Hallways and lobby are kept clean. Friendly environment. Helpful staff. Common areas are bright open spaces.